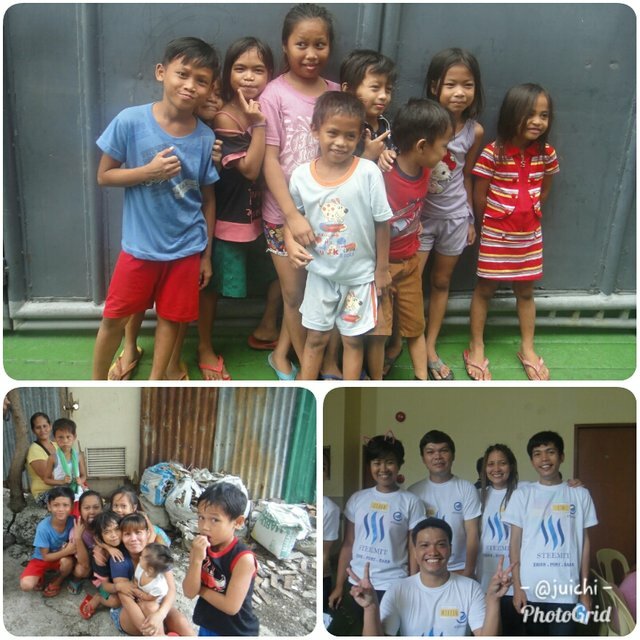 #ulog13; Steemit Cebu on Charity " Sharing an Awesome S.M.I.L.E with the Street Children of Cebu City, Philippines "
I found it a privilege to have meet those kids and witnessed how they forgot their life in the streets for a while. 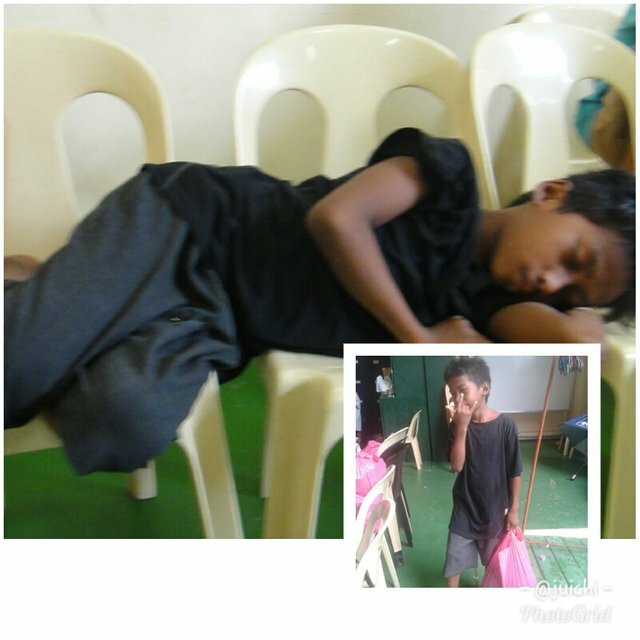 The @steemph.cebu recently organized a charity event to help the raging number of street children in Cebu City last July-2018. It was held in in St. Luise Ladies Dormitory .Located at Pelaez Street Cebu City. This charity event was organized by @indayclara and supported by our core leader @jassennessaj. It is now time to reach out our hands to this children and make them feel that they are loved even for a moment. Here are the kids that caught my attention in that event. The early bird! She was patiently waiting outside the gate of the dormitory. It was raining that time and she doesn't want anybody to get her umbrella. She is 3 years old with a brown hair and an earings. At her age she is amazingly independent. She eat alone and do the task all by herself. He is 2years old. 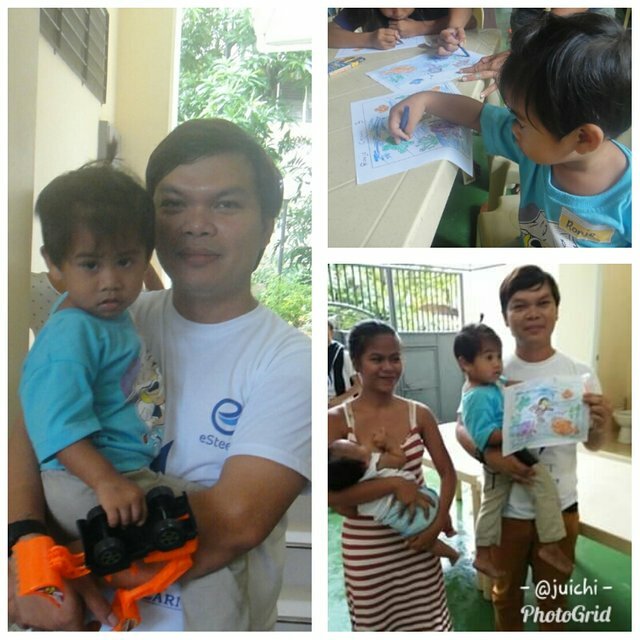 A shy type of a kid and I've been assisting him throughout the program. Specially during his lunch. As a father my heart melts the time I saw him. I l also have a 2year old son. I asked him what's his favorite toys, he replied that he loves to play a toy car. I was afraid somebody might step on him that is why I always carried him. Surprisingly he won during the coloring contest. And finally he had his dream car and no one can measure how happy he was that time. He is 12 years old. A taxi hit his feet in the middle of the night last week. According to him he was playing on the street and was about to cross when a taxi accidentally hit his feet. He stayed in the dormitory for medical attention since no one will take care of him outside. Despite all the pain he still managed to smile. Although he can't participate during the games he just took a sit and cheer-up for his friends. She is 10 years old. A shy sweetheart who just kept on sitting on the corner. I encourage her to participate so that she can have some prizes. Behind her beauty is a sad story of her life. Her mother passed away and she is living with her father. Only if her mother lives I might asked her why she named her Princess. 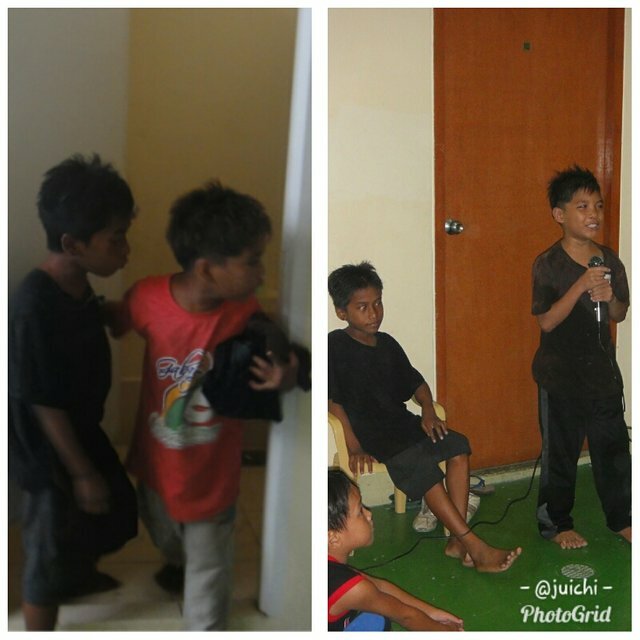 This two kids arrived late. And they were quick to take a shower. And they showed their skills in hosting during the basketball games between the steemians and the kids. They even sung and rap! No dull moments. In my thoughts, if they could be given a chance, really they have the potential to be a somebody. This teen mother brings her little angel with her. She found a husband which is a street children also. How I wish to help her in raising her child! He was just sleeping in the corner. Im wondering what he did last night and where he had been. Eventually he woke up and joined the program. When he was on his way home he askef me " Kuya kuhai ko ug picture", take me a picture. One of the boy was my partner during the game. He wanted to have a watch. So I told him that we must win the game and to have presence of mind is a must. With all our efforts we made it to the top 4 and we were one of the winners. Those children teaches us to be contented and be appreciative in every little things. There is no price for happiness regardless we are rich or poor. Here are my compilation of pictures during the event. May God bless all of the member of this charity.You are doing a great job.Helping the needy peoples is always a peaceful work.Keep doing this kind of honourable work. Thank you @nahid05, I can't explain the feeling that I have that time, It was one of my memorable and a fulfilling achievement in my life. Congratulations! This post has been upvoted from the communal account, @minnowsupport, by juichi from the Minnow Support Project. It's a witness project run by aggroed, ausbitbank, teamsteem, theprophet0, someguy123, neoxian, followbtcnews, and netuoso. The goal is to help Steemit grow by supporting Minnows. Please find us at the Peace, Abundance, and Liberty Network (PALnet) Discord Channel. It's a completely public and open space to all members of the Steemit community who voluntarily choose to be there. Congratulations @juichi ! You received a 20% upvote from @kryptoniabot & @kryptonia. This post has just received lots of ♡♡♡#LOVE♡♡♡ and a 37.11% upvote from @haveaheart! This such noble endeavor is highly applauded! Congratulations @steemph.cebu and to all the organizers. It is indeed a great feeling sharing something to those who needed most. Thanks @juichi!